NASHVILLE, Tenn. (September 2, 2016) – Country legends will light up “Reflections” in September with all-new episodes of the weekly half-hour interview show featuring Johnny Lee, Collin Raye, Charley Pride, Janie Fricke and Mark Chesnutt. 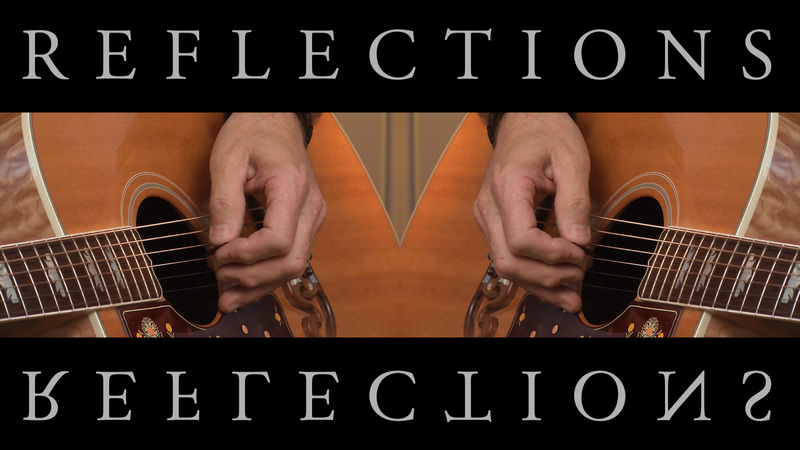 “Reflections” airs on The Heartland Network Thursdays 8/7c (6 p.m. CST on WSMV 4.2 in Nashville) and Saturdays 4/3c. Click here to find your local channel. “Reflections” is hosted by Tennessee Radio Hall of Fame member Keith Bilbrey. Viewers can also tune in to Angel Two/DISH Network, The Family Channel or AMG TV. Johnny Lee opens up about his first studio album in 10 years, You Ain’t Never Been To Texas, and gives fans an in-depth look at his illustrious career in the September 1 episode. Lee, known for his dynamic stage presence and smash No. 1 crossover hit “Lookin’ for Love,” chats with Bilbrey about recording new music, touring nearly every weekend and getting his big break when he worked with Mickey Gilley, both on tour and at Gilley’s Club. “Lookin’ for Love,” the soundtrack from the 1980 hit movie Urban Cowboy, which was largely shot at Gilley’s, catapulted Lee to fame. The smash hit became a crossover hit spending three weeks at No. 1 on the Billboard Country Singles chart while also appearing in the Top 5 on the Billboard Pop chart and Top 10 on Billboard’s Adult Contemporary chart. Bilbrey sits down with Collin Raye in the Sept. 8 edition that includes captivating stories about his more than 25-year career. Raye chats about the timeless No. 1 hit “Love, Me,” that catapulted him in the 1990s and opens up about building a career on songs with an emotional connection to listeners, like “Little Rock,” which led to more than 100,000 calls to Alcoholics Anonymous from people seeking help for their addictions. The song and video for “I Think About You” exposed the exploitation of women and children, earning Raye the award for “Video of the Year” from the Academy of Country Music in 1997. During the Sept. 15 episode, Bilbrey sits downs with Country Music Hall of Famer Charley Pride and discusses his early life as one of 11 children, picking cotton in the fields of the Mississippi Delta, as well as his introduction to music, the songs that inspired him, and his first guitar. Bilbrey also chats with Pride about his 50th anniversary as a recording artist who’s enjoyed one of the most successful careers in the history of country music and is credited with helping to break color barriers by becoming the first African-American to become a force within the genre. A three-time Grammy Award winner, Pride has garnered no less than 36 chart-topping country hits, including Kiss An Angel Good Morning, a massive No. 1 crossover hit that sold over a million singles and helped Pride land the Country Music Association’s Entertainer of the Year award in 1971 and the Top Male Vocalist awards of 1971 and 1972. A proud member of the Grand Ole Opry, Pride continues to perform concerts worldwide and has toured the United States, Canada, Ireland, The United Kingdom, Australia and New Zealand over the last several years. Bilbrey spends the Sept. 22 episode with two-time CMA and ACM Female Vocalist of the Year Janie Fricke, who’s hit the No. 1 spot on the country charts an astounding 18 times. Bilbrey discusses how Fricke was the First Female Voice on the Moon to reaching Gold and Platinum sales status worldwide. Fricke also chats about how her upbringing in Indiana shaped her career to begin recording numerous jingles for Coca-Cola, Pizza Hut and United Airlines. Janie has released 23 albums and 36 hit singles, and she remains one of the most-beloved entertainers in the country field. In the Sept. 29 episode, Bilbrey sits down with Mark Chesnutt who continues keeping traditional-minded classic country music alive withTradition Lives, his first album of all-new material in eight years. Chesnutt also chats about his run up the charts in 1990 with “Too Cold At Home,” and blockbuster 90s favorites such as “Brother Jukebox,” “Let It Rain,” and “I Don’t Want To Miss A Thing.” Along the way, he has earned one Gold album and four Platinum albums. “Reflections” is filmed at The Hot Seat Studios, located in Hermitage, Tennessee, and is produced by Jeff Moseley and Brian Covert of CJM Productions. Each week, Keith Bilbrey leads one-on-one insightful interviews with country music’s legendary artists.